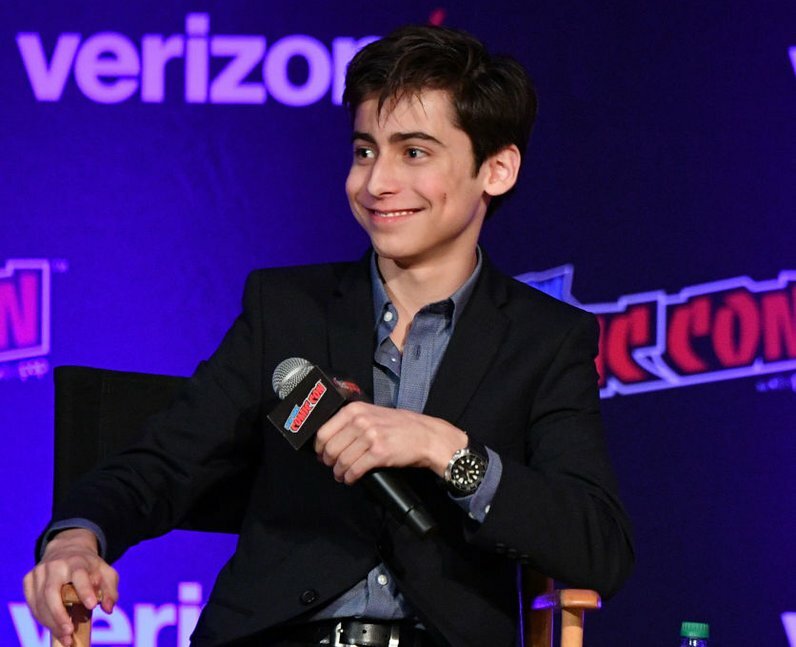 Meet Aidan Gallagher, the 15-year-old actor who plays Number 5 on Netflix's 'The Umbrella Academy'. You may know the young star from Nickelodeon's 'Nicky, Ricky, Dicky & Dawn', but Aidan Gallagher is also a talented musician and environmental advocate. Here are some facts you probably never knew about the rising star. Aidan Gallagher is an actor, musician, and environmental advocate who is best known for his roles on ‘Nicky, Ricky, Dicky, and Dawn’ and Netflix’s ‘Umbrella Academy’. 2. How old is Aidan Gallagher? Aidan Gallagher is 15 year old. Aidan was born on September 18, 2003, making him a Virgo. Aidan is an LA native. 3. How tall is Aidan Gallagher? According to multiple online sources, Aidan Gallagher is 5 foot 3 inches tall. In 2018, at age 14, Aidan was named as a Goodwill Ambassador for North America, becoming the youngest Goodwill Ambassador. Aidan regularly posts about environmental issues on social media such as the need for clean air and water. One of Aidan’s first television roles was as a kid on ‘Modern Family’. He played one of Lily’s schoolmates who is bullied on the playground in season 4 episode 18 of ‘Modern Family’. 6. Who plays Nicky in ‘Nicky, Ricky, Dicky, and Dawn’ on Nickelodeon? Aidan Gallagher played Nicky Harper on Nickelodeon’s ‘Nicky, Ricky, Dicky, and Dawn”, a show about quadruplets with distinct personalities. The show was nominated for 2 Kids Choice Awards and lasted for four seasons before airing its final episode in 2018. 7. Who plays Number 5 in Netflix’s ‘The Umbrella Academy’ ? Aidan Gallagher plays Number 5 in Netflix’s ‘Umbrella Academy’. Number 5 is highly intelligent with the ability to travel forward in time. In combat, Number 5 can perform micro jumps that make it appear as though he is disappearing and reappearing in another location. Number 5 accidentally time travels to the day of the apocalypse and makes his way back years later to warn his siblings. Aidan Gallagher plays guitar, piano, and can sing. Based on his social media posts, Aidan is also interested in environmental causes. Aidan often posts about green energy and reducing pollution and clean water. Aidan Gallagher is vegan. He has said in the past that he does not eat fish because of its unsustainability. Vegans do not eat meat, poultry, dairy, or any other animal by products. Aidan’s twitter handle is @AidanRGallagher. You can also find him on Instagram at aidanrgallagher.